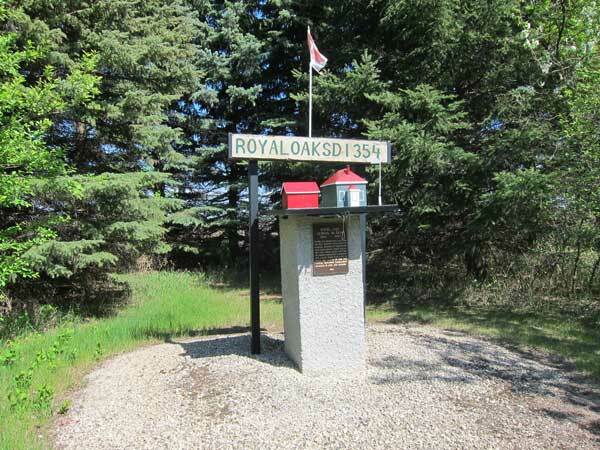 The Royal Oak School District was organized formally in August 1905 and a school building made of hand-made concrete blocks (the only one of its kind in the area) was erected the following year, on 18-21-15 west of the Principal Meridian in the Municipality of McCreary. 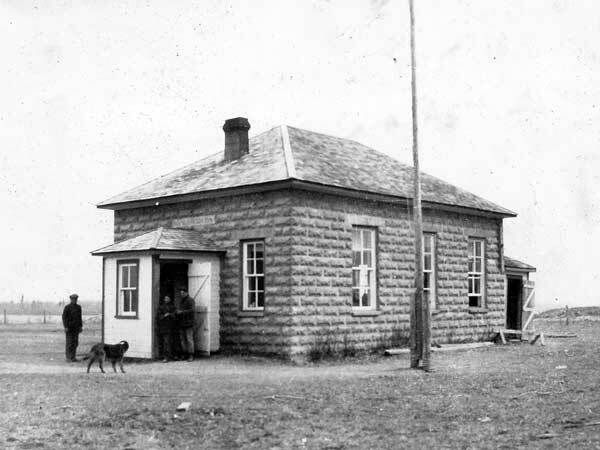 The school opened in 1906 under teacher John Scott, who was paid an annual salary of $875. In 1936, the school became part of the McCreary Municipal School system. By 1950, the district had reformed and the school operated until June 1959 when it closed due to declining enrollment. Its remaining students went to McCreary Consolidated School No. 1348. The building is no longer present at the site but a monument topped with a model of the school, unveiled on 30 July 1994, commemorates it. Manitoba Heritage Council Commemorative Plaques and Manitoba Community Commemorative Plaques, Fiscal Year 1994-1995, Historic Resources Branch, Manitoba Culture, Heritage and Citizenship, page 41.